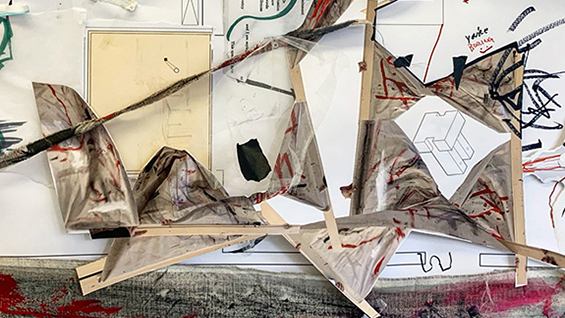 In a seminar led by faculty member and architect Ceren Bingol, students of The Irwin S. Chanin School of Architecture will reimagine a historical house on Governor's Island through mindful and spatial poetics. Curated and realized by Bingol, along with poet Simona Blat and artist Seth Carnes, House of Poetics will be a space for the practice of contemporary poetics through multidisciplinary artistic production. Slated to launch in May 2019 in partnership with The Trust for Governors Island 2019 Summer Programming, the project will unfold over six months, featuring many participating poets, artists, and performers, along with thousands of public visitors interacting in this hybrid studio, publisher, lab, and gallery for the exploration of poetry’s role in society. Students in the House of Poetics Seminar will be immersed in an alternative mode of architectural and artistic practice, such as the architect / artist having autonomy over creating their own projects and processes without a client, gallery, or publisher. Within an interdisciplinary environment of working collectively with architects, artists, poets, engineers, and people from other industries, towards a 1:1 scale built project which they will co-author alongside the creators of the idea of House of Poetics, the students will have the opportunity to understand and engage with the challenges and opportunities of the contemporary cultural landscape.